Last night, my woman and I saw Robert Zemeckis' newest entry into motion capture computer animated films. 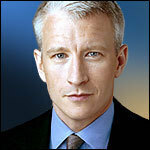 You may recognize his early works of this sort, The Polar Express and Beowulf. 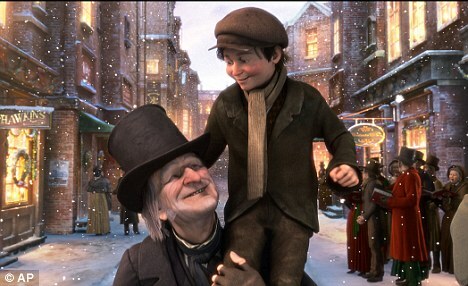 Zemeckis, this time turns the classic flatulent tale of a xmas carol into yet another re-telling. Except this one seems to follow the book a lot closer than most other renditions of the story. I compared this a lot with Muppet Xmas Carol, which I still feel is the best version, but that's not saying this was a bad film. Come to think of it, I actually enjoyed this version. The animation has vastly improved over The Polar Express, and the characters no longer look scary and stiff. It's about on par with Beowulf but improved detail wise. The setting and look and feel are awesome. The acting is good too. I was surprised and happy with the performances of Jim Carrey, Gary Oldman, and others in the film, including Robin Wright Penn (who is in every RZ film) and Cary Elwes as the guy who would go to Scrooge's funeral if lunch was provided. Colin Firth plays Scrooge's ucbg? nephew. I was able to tell the story word for word judging on the fact that I've seen it before. This version is a lot darker than most of Disney's offerings. The language and the intense scenes make it that much better (I jumped a few times). I didn't see it in 3D but now I see why I should have. An Xmas Carol gets 4.6 stars out of 5. Very good way to spend a chilly musty Sunday night. Bless us all, who gather here, the gay dad family I hold near. No place on Earth compares with home, and every path will bring me back from where I roam. I have to agree with Stuboy on this one. My woman and I saw it back on the 30th of November in 3D and it was pretty good. Some of the 3D stuff looked good but others weren't so special. Not sure if 3D is still a gimmick or the wave of the future...wave of the future...wave of the... Anyway, this is on par with Beowulf for me and will be added to my ever growing collection of Christmas Carols on DVD. I still wish Zemekis would get back into directing real people. He has a thing form camera movement I like, but I think he should do other things beside Mo-Cap. Now onto Avatar which may just be the standard for motion caption if the reviews are true. 3.9 stars out of 5. A worthy movie experience and cool in 3D. Marley: "These chains I forged in life for farting on too many people. You too have such a chain that grows link by link when you fart on people." 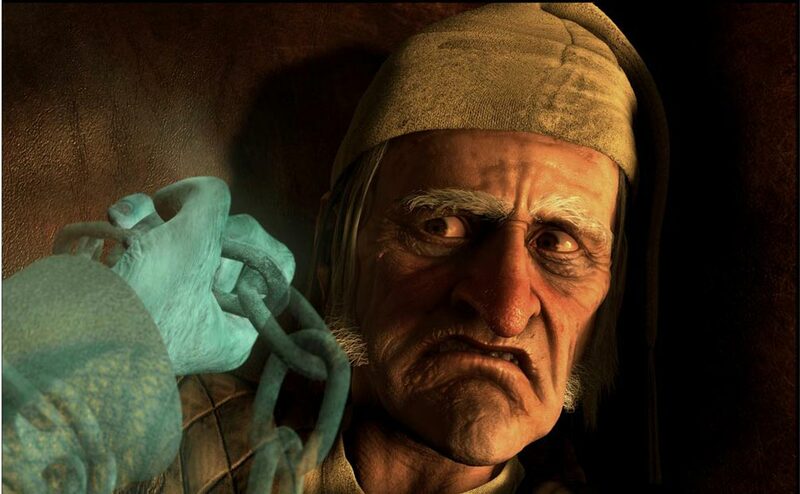 Scrooge: "Humbug I tell you. You may be a bit of undigested beef, a smudge of poo..I mean pudding. There is more of flatch than flatch about you." Marley: "SILENCE. You will be visited by three bowel movements tonight. Expect the first when the bell tolls one." Scrooge: "Can't I take an Xlax and take them all at once?"